Assistant Professor, Division of Pediatric Cardiovascular Surgery, McGovern Medical School at UTHealth. 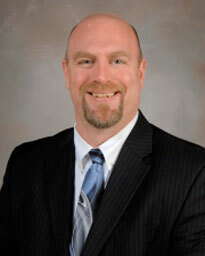 Dr. Robert Hanfland earned his medical degree from Southern Illinois University School of Medicine. He completed his residency in general surgery and a fellowship in cardiothoracic surgery at the University of Iowa Hospitals and Clinics, and an additional fellowship in congenital heart surgery at Children’s Hospital of Colorado. Board certified in general surgery and thoracic surgery, Dr. Hanfland’s clinical interests are pediatric and adult congenital heart surgery and pediatric tracheal surgery. He serves as assistant professor of pediatric cardiovascular and thoracic surgery at the University of Texas Health Science Center at Houston (UTHealth) Medical School. A recipient of the Humanism in Medicine and Department of Surgery Teacher of the Year Awards at the University of Iowa, Dr. Hanfland’s practice philosophy is to treat people in the way that he would like to be treated. He believes that an excellent congenital heart surgery program requires a whole team of people, a concept reflected in his practice. A Houston Texans fan, Dr. Hanfland is resident of the Medical Center. He is married to a physician who practices in pediatric intensive care and they are the parents of three children. Hayes appeared to be a perfectly healthy newborn. Three hours after birth, however, a nurse who was listening to his heart through a stethoscope heard an abnormal heart sound – a heart murmur – indicating a possible heart problem.